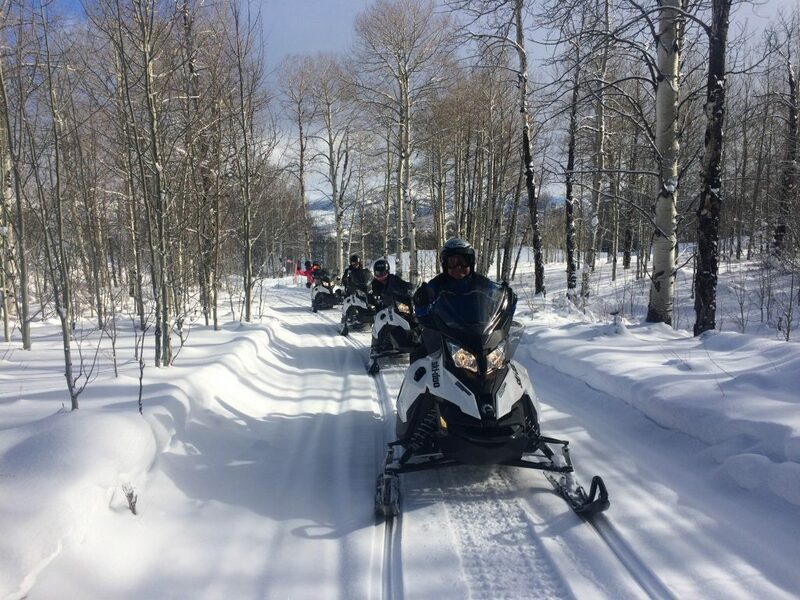 Having a base of operations on a beautiful private mountain near Vail, Colorado allows us to offer a snowmobiling experience that’s unrivaled. It’s one of our greatest points of pride here at Sage Outdoor Adventures. It’s a big part of what makes us different. A snowmobile tour with us means having access to 6,000 rideable acres. What does that mean for our guests? To put it in perspective, that’s bigger than the Vail ski area. And it’s entirely private. The only people you’ll see on the entire mountain are other Sage guests. Most tour companies rely on Forest Service permits. They are forced to deal with public conditions and are restricted to specific trails and small play areas. Our riders get to explore the entire mountain. This mountain paradise has 2,500 feet of vertical, more than 100 miles of maintained trails, and expansive meadows for open riding. Our base of operations sits at 8,100 feet elevation, the same as Vail and Beaver Creek Villages. Most of our mountain is north-facing, which preserves snow conditions on our trails. Trail quality is another major point of pride. Our crew sets the standard for excellent trails and grooming. We operate three Snowcats for grooming, plus five drag groomers that are pulled by snowmobiles. Trail maintenance takes a lot of effort and our team is the best in the business. On a snowmobile ride with us, you won’t have to worry about hitting washboard sections or nasty dips. You’ll be free to enjoy the incredible scenery and an experience like nowhere else! Finally, the private mountain experience offers an unparalleled level of comfort. Whereas operators on public trails are forced to use temporary check-in trailers and outhouses, our guests enjoy a cozy cabin at our mountain base. Our base is nestled in a scenic valley with incredible views. The cabin is a great place for customers to relax, with wood burning stoves, fully equipped restrooms and a 5,000 square-foot deck overlooking the valley. The best mountain and the greatest facilities wouldn’t mean what they do without our incredible team. Our people are still what make a Sage experience truly special. But having the opportunity to operate in such an incredible location sure doesn’t hurt! For more information on snowmobile tours with Sage Outdoor Adventures, give us a call at 970-476-3700 or send us a message. You can also read more about our snowmobiling adventures on our website at SageOutdoorAdventures.com. We can’t think of a better way to celebrate the Holidays than with a big mountain snowmobile adventure! Seriously. Elevate your Christmas plans, and join us for a memorable experience on the snow! Our private mountain is larger than Vail ski area and home to more than 100 miles of trails. From here, you’ll enjoy towering views that overlook the Eagle River canyon. Feel the wind as you gain speed through open meadows, winding through sage and mountain mahogany. Get a real taste of the Colorado backcountry, riding beneath impressive stands of aspen and spruce. The snowmobiling experience here is unforgettable. We offer two-hour guided tours with three start times each day, plus other trip options to fit your needs. Hotel pickup is free. That leaves plenty of time for your other holiday plans. It makes a perfect group event. Our outstanding guides will make sure that beginners and advanced riders alike will have a great time. 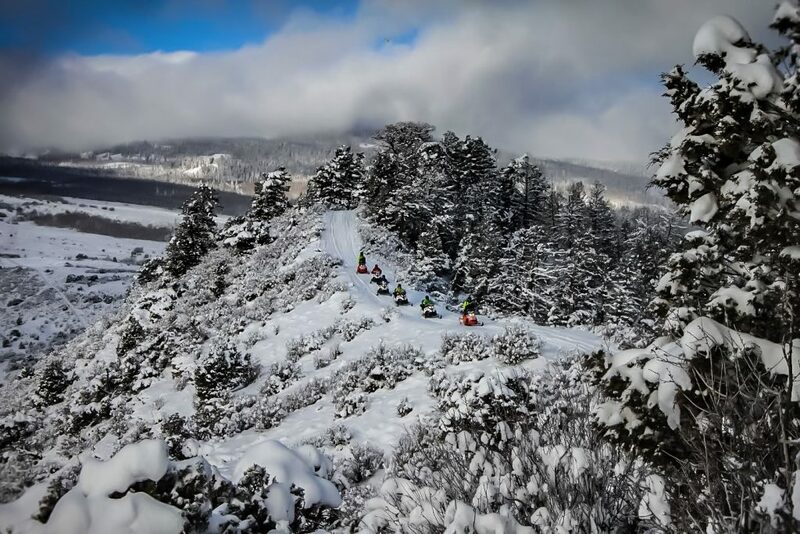 For details and to book your Colorado mountain snowmobile adventure, check out our Snowmobile Trips Page or call us at 970-476-3700. See you on the mountain! It’s a bold statement. But we will gladly make it. 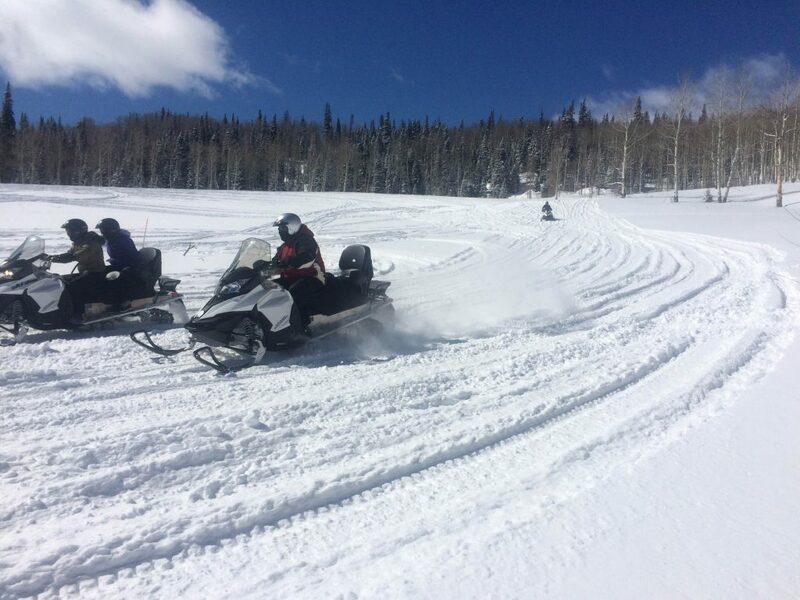 We truly believe that we offer the very best snowmobile experience in the Vail Valley, period. Make no bones about it; this high country snowmobile tour is not like any other. What’s the difference maker? It’s that we operate on a beautiful and historic private ranch, an area larger than Vail Ski area. But boasting about ‘a private ranch’ may not mean anything at first glance. So what does that mean in reality? First, most snowmobile operations are based on Forest Service land, where they aren’t permitted to build permanent structures. That means you’ve got a port-o-potty on the side of a logging road. Here at Sage, we are blessed with a comfortable base of operations. Our guests arrive to a cozy lodge. You’ll be able to suit up in your snowmobile duds in comfort. And yes, we have real restrooms! But the benefits of a private ranch experience don’t end there. We’ve got a lineup of serious grooming equipment and more than 100 miles of professionally groomed trails! 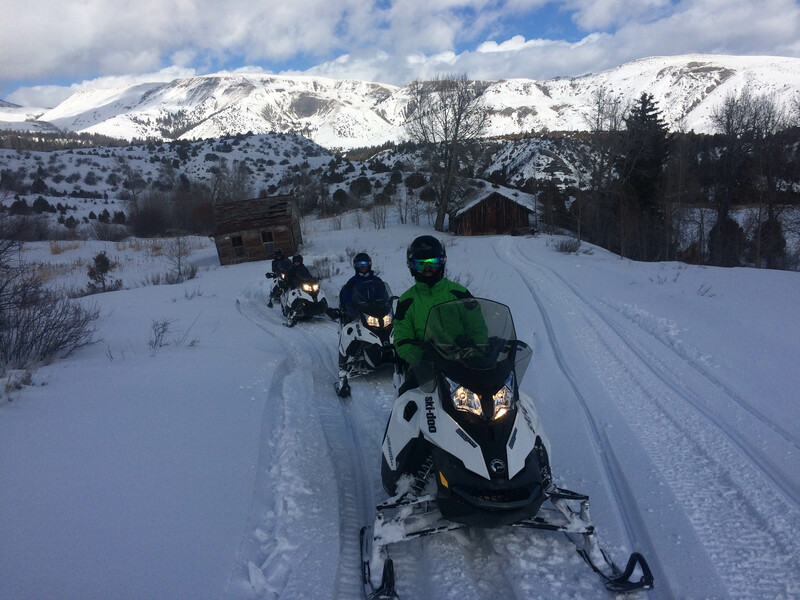 Operations on Forest Service land are forced into existing designated trails and don’t have the ability to customize rides for snowmobile tours. Our many varied trails were designed and are maintained for snowmobiling. They aren’t just old logging roads. You’ll experience open sage flats, giant stands of aspen, winding turns through spruce forests, and jaw-dropping views from the edge of the Eagle River canyon, tumbling more than 2,400 feet below you. We also groom and maintain 10 sprawling meadows, specifically for playing on snowmobiles! 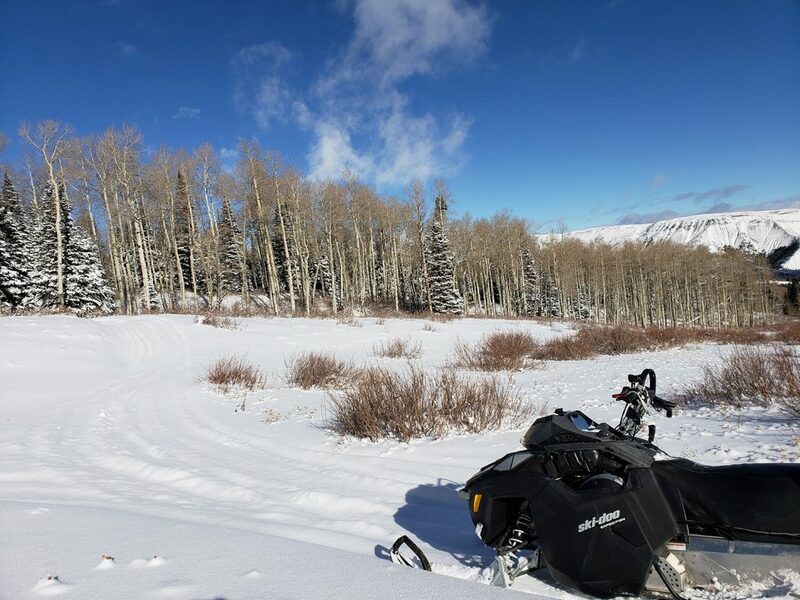 With 6,000 acres to explore and backcountry views of six different mountain ranges, it doesn’t take long to realize why this really is the very best snowmobile experience in the Vail valley. For options and pricing, please check out our Snowmobiling Page. You can also call us at 970-476-3700 or contact us online. Last year, we made some major changes to our snowmobiling program here at Sage. And as we approach the 2018-2019 winter season, we are excited for these big improvements! We are extremely proud of our snowmobile program, which was already one of the most highly rated in the state. In fact, Sage Outdoor Adventures boasts Trip Advisor’s highest rating for outdoor activities in the Vail area. Some of the new snowmobile improvements include a totally redesigned trail system, and a new state-of-the-art snowcat for improved trail grooming and maintenance. Throughout last year, the guides and designers of Sage’s snowmobile trail system spent a great deal of time and work on the new design. The team built a custom network of trails that is specifically designed with our snowmobile guests in mind. 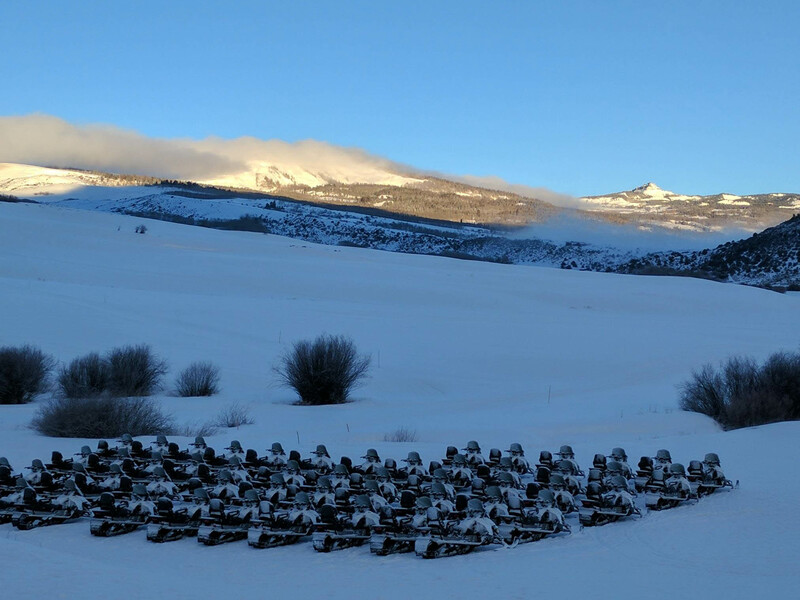 We are thrilled to run our snowmobile operations on a private ranch near Vail, a property that covers more than 6,000 acres. The area has proven to be an ideal base of operations for snowmobile tours, with 2,500 feet of vertical relief on a north-facing mountain. Sage’s base area sits at 8,100 feet above sea level, the same as Vail and Beaver Creek. The terrain here lends itself to incredible riding trails, and the area is actually larger than the Vail ski area. Sage Outdoor Adventures has over 100 miles of marked trails and 25 different loop routes. Sage also has more open meadow riding than the combined bowl area of Vail Mountain. In addition to the re-designed trail system, Sage has a 2018 Prinoth Husky Snowcat. This state-of-the-art cat is now a part of Sage’s grooming fleet, and will allow the team at Sage to maintain the best possible trail quality. Guests in Vail and Beaver Creek expect a high-level product, and Sage’s grooming efforts are second-to-none. “We want our guests to learn the machines and to enjoy the views, not fight with poorly groomed terrain,” Bangert concluded. 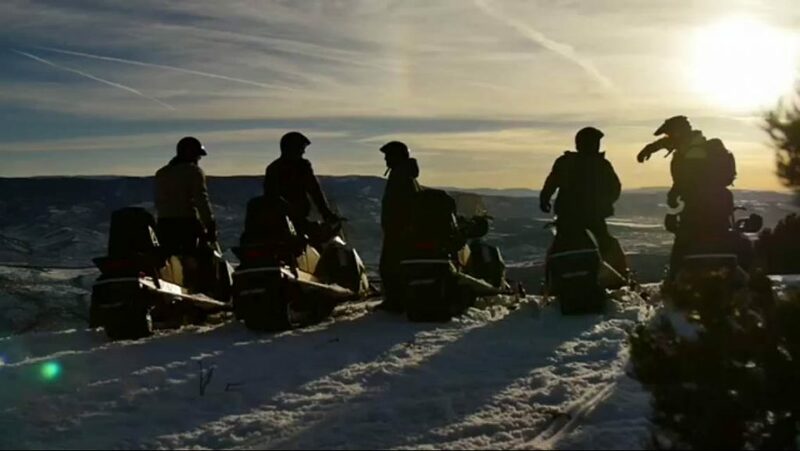 To learn more about our snowmobile rides in the Vail valley, please visit our Snowmobiling Page. To reserve dates or to ask questions, give us a call at 970-476-3700 or contact us online. While rafting trips need no explanation and horseback riding is always a popular mountain activity, we often receive questions about our side-by-side ATV tours. What makes these trips so special? Why explore the Vail area in a side-by-side? It’s a valid question. While many of our Vail and Beaver Creek vacationers can lay claim to at least one previous horseback ride or rafting adventure, we get a lot of first-timers on our ATV trips. But after their first time, we can almost guarantee – it won’t be the last! What makes these trips so special? First and probably most obviously, it’s the wind on your face and the fast-paced, driver’s seat view of Colorado’s spectacular mountain country. On our ATV tours, you are the driver of your own adventure. Next, we are fortunate to operate on a 6,000-acre private ranch, an area larger than Vail ski area. Plus, there’s an adjoining 14,000 acres of public land to explore. In addition to the exclusivity, what’s the biggest benefit of having access to this historic private ranch? We’re riding purpose-built, side-by-side ATV trails. These aren’t your run of the mill forest service roads. On private land, our trails can be manipulated to be extremely entertaining. And that’s exactly what they are! Finally, the Sage experience is special because we run new, top of the line machines. Our Maverick’s offer outstanding handling and performance that makes the entire experience that much more fun! For more information about our ATV tours here at Sage Outdoor Adventures, check out our Side-by-Side ATV Page. For booking and availability contact us or call us now at 970-476-3700.